The TakeAway: The United Nations’ Draft “Guiding Principles” for Business and Human Rights helps governments, business, and civil society put the “Protect, Respect, Remedy” framework into practice. 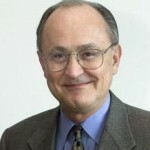 “There is no single silver bullet solution to the multi-faceted challenges of business and human rights.” So writes John Ruggie, United Nations Special Representative to the Secretary-General (SRSG) and Harvard Kennedy School Professor, in a draft report on business and human rights issued last Monday. 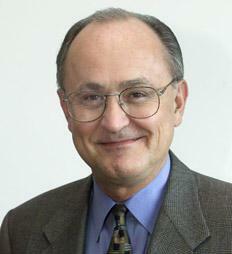 The “Guiding Principles for the Implementation of the UN ‘Protect, Respect and Remedy’ Framework” (GPs) – governed by what Ruggie calls “principled pragmatism” – are posted for public review, offering an important opportunity for everyone in the corporate responsibility and sustainable investing fields to comment through January 31, 2011 on Professor Ruggie’s online consultation forum. Next June, Ruggie will present the GPs in final form, along with Commentaries elaborating upon each one, to the UN Human Rights Council (HRC). The document caps a massive outreach process begun in 2005, which led to the proposed “Protect, Respect, Remedy” Framework in 2008 for nations and businesses to adopt. “He has convened about 40 consultations all over the world with many different audiences,” says Sherman—all of which are archived on the SRSG web portal, hosted by the independent Business & Human Rights Resource Centre. More recently, Ruggie held consultations with Member States in Geneva and Paris last October to provide an opportunity for them to share their views on the final draft. Even before its final ratification, the Framework’s already having an impact, Sherman says, serving as “a catalyst for action, as a convener of all relevant stakeholders, and as a foundation for future solutions”. Much of what the GPs contain has already appeared in the three earlier reports of the SRSG to the Human Rights Council. “The UK and South Africa have used the framework to assess and develop policy; several major companies are incorporating the framework’s human rights due diligence process into their management processes, NGOs have used the framework in their analyses and advocacy, and pilot projects are road testing company-based human rights grievance mechanisms,” Sherman told us. Why is it important for the public to weigh in? “Since the Guiding Principles will be the culmination of the SRSG’s work, and will become the focus of practical guidance for years after his mandate ends, the ability to comment on the draft Guidelines constitutes an invaluable opportunity for everyone interested in business and human rights to give their views to the SRSG,” John Sherman told us. This entry was posted in Corporate Sustainability, Human Rights, Stakeholder Engagement and tagged Business and Human Rights, John Ruggie, John Sherman, Lipton, Protect, Remedy, Respect, Rosen & Katz, UN Human Rights Council, Wachtell. Bookmark the permalink.